The COUNT function can be used to count the number of rows in a table. 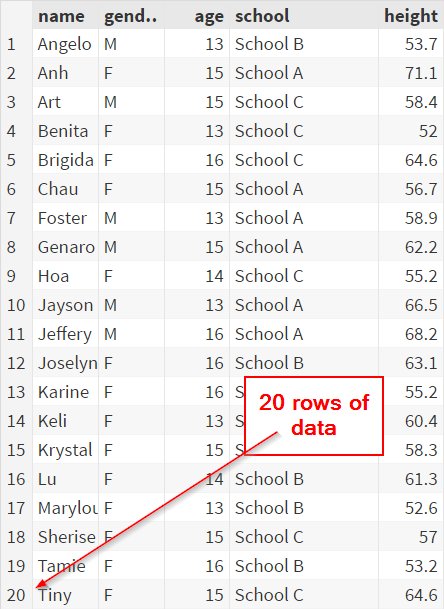 ​There are, in total, 20 rows of data in the SCHOOL table. You can also count unique values in a column using the COUNT function. In this example, the DISTINCT keyword is specified in the COUNT function. 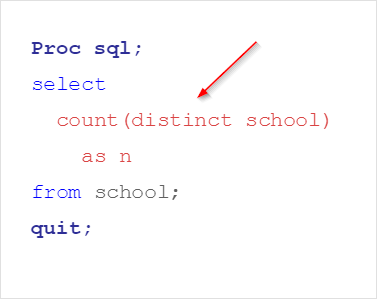 ​​The COUNT function counts the number of unique schools in the table. 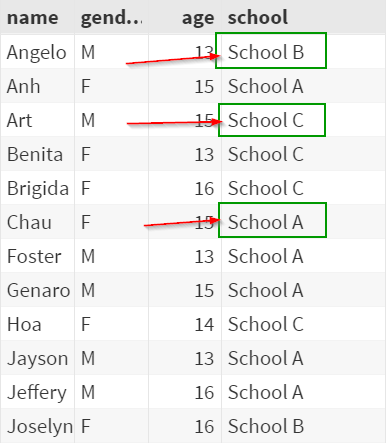 The Proc SQL step in this example counts the number of male and female students in the table. There are 6 boys and 14 girls in the table. Write a Proc SQL step to count the number of cars each car maker has in the table.